But it’s about to get WAY EASIER!! So that you can MAKE MORE MONEY, and DO IT FASTER and much EASIER! 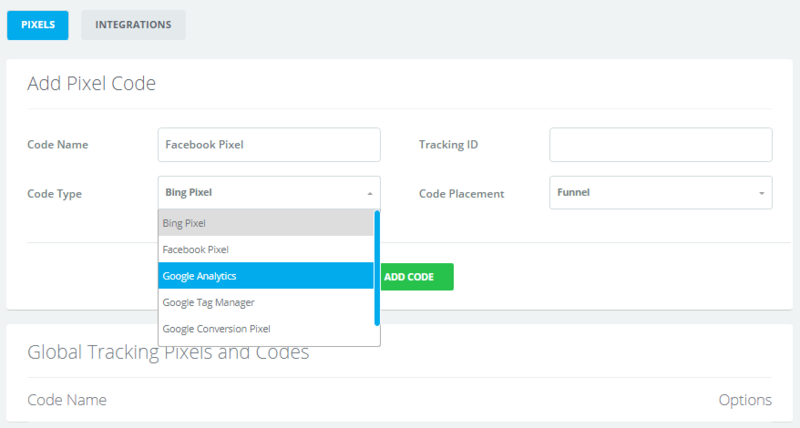 We recently released leadPops Funnels Admin Panel 2.0 … and it’s packed with MAKE MORE MONEY and MAKE LIFE EASIER user-friendly features. Like to see HOW the new leadPops Funnels is going to make you more money? Grab a cold or hot beverage, and prepare to discover how your life is about to get A LOT EASIER !! But do you really have to put up with this scenario? Or is there something concrete you can do, that will FINALLY have YOU getting the good leads – exclusive and highly qualified – at a reasonable lead cost? 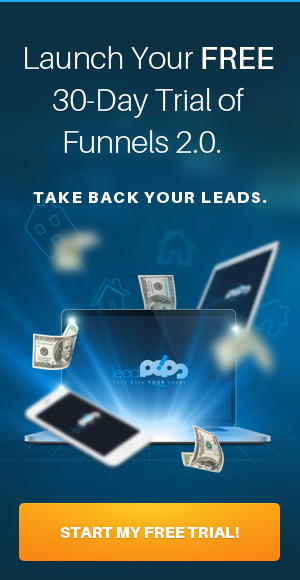 So HOW will you make you more money, with the new leadPops Funnels, with the improved Admin Panel 2.0? … in order to maximize the leads you get from ALL your marketing efforts. We cover how and why the RIGHT TYPES of funnels, in the RIGHT PLACES can and will transform the results you experience. The Introduction to Funnels video, covers the full scope of your marketing – and how leadPops Funnels can – and will – transform your results. 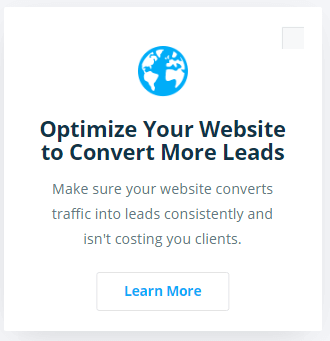 Regardless of the type of marketing your currently doing, or how much you’re spending – you CAN get more leads (and highly-qualified leads), without spending one extra cent! We discuss how that’s possible, and how to put it into effect with the tools provided to you via the new Admin Panel 2.0. It’s all about using the right tools – in the right place – for the right purpose. You can easily emulate the same results the giants achieve – such as Zillow and LendingTree. Also, don’t worry if you don’t have a lot of experience with automated email marketing – because we’ve got you covered! The Email Blast Your Database segment of the Fast Track to Success Training will cue you in on everything you need to do. Yes, there are a lot of options, and it can be a little confusing to begin with. That’s why we cover step-by-step, the strategies that provide the greatest pay-off, in the shortest amount of time. 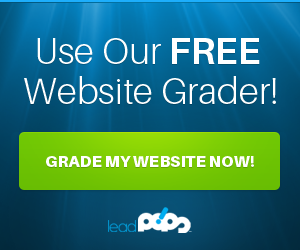 In the leadPops Funnels Admin Panel 2.0 – we provide both the training, and the tools, to make this happen. … to a massive flow of highly qualified leads. And both happening with the same amount of money spent on your marketing. Understand and do it correctly, and you’ll never be short of business ever again. In the Fast Track to Success Training – we cover how to optimize your website, to convert more visitors to leads. Because the truth is, people will try to find you online. They’ll see your ad, then Google you, and they’ll find your website. So you must ALREADY have the tools in place on your website, so that you can maximize the number of visitors that you convert to leads. A website that is nothing more than a few things to read, and a contact form or long and intimidating application form – that just won’t cut it. 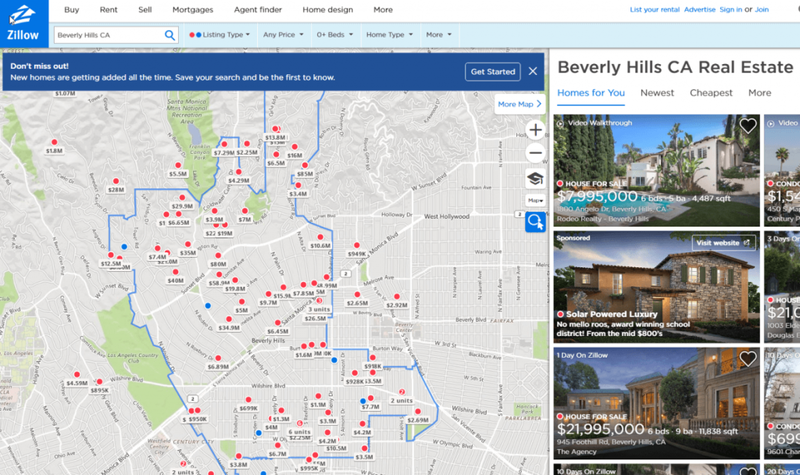 The mega billion dollar companies – Zillow, Trulia, Reator – they have all the right design, funnels, forms and lead capture technology in place. But when it comes to emulating the giants of the industry, there’s no reason to reinvent the wheel. Inside your Admin Panel 2.0 – you’ll find the tools you need to create the same exact kind of setup on your own website. While providing a much better experience for your clients. And you won’t be wasting money on leads that have also been sold to 15 other brokers. In the Generate Instant Leads with Facebook Ads training, you’ll literally be walked through – step-by-step – starting with zero knowledge – how to start advertising on Facebook in the morning, and be responding to new, highly qualified leads the same afternoon. 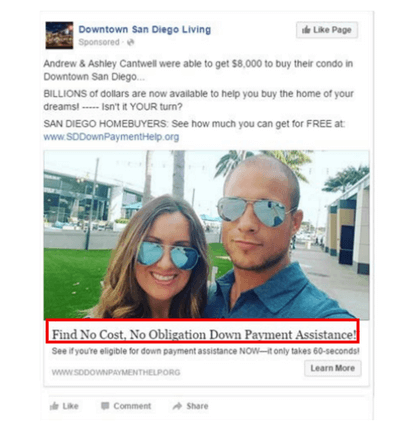 I know, everybody’s talking about Facebook ads, but is it really that easy? In the new Admin Panel 2.0 – included in your training, you’ll discover that not only is this VERY REAL – but you’ll also be given a step-by-step guide on setting it up, and getting it launched. We’ve had agents literally go live with leadPops Funnels, and start generating leads within an hour or two, using Facebook to drive the traffic. And the Do-It-Yourself, A-to-Z guide, is included in your Fast Track to Success Training. 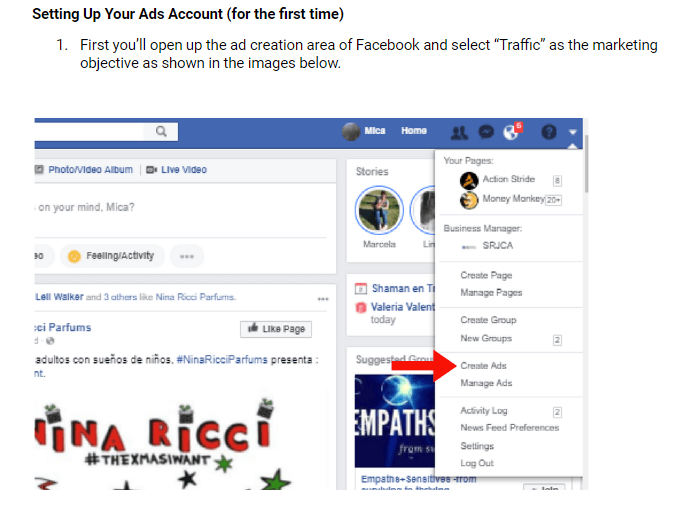 People who have never created a Facebook ad before in their lives, have followed this guide and within a few hours of going live emailed us and said, Hey, I’m already generating leads for two bucks – or five or ten, depending upon the area they are in. One client was ecstatic, he’d generated 43 leads in the first 24 hours. Even if you have zero online marketing experience, this guide is easy to follow along. it’s point and click, get it set up, get it going. Monitoring changes you make to your funnels headlines, and other copy, is critical to your success. … and track the results of any testing you do. I know, I know … messing with the tech stuff is complicated and time consuming! It doesn’t have to be – and I’ll show you how to short-cut the process. But understand – proper tracking is 10,000% ESSENTIAL!! 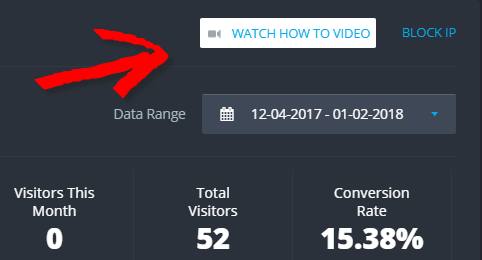 If you’re going to have a website, you’re driving traffic, and converting visitors to leads using funnels – you HAVE TO TRACK EVERYTHING, and do it accurately. And improving your marketing = MORE DEALS and MORE MONEY, without spending more on advertising. Or – spend a lot more on advertising, and get the absolutely most out of every dollar you spend. And we’ll cover what codes to put where inside your Admin Panel 2.0. … because that’s what will create the results for you. The focus here is on ALL your marketing efforts – not just your website. So if you’re running radio ads, sending postcards, have a newsletter – no matter what you’re doing – you’ll discover how to make it work at least 10x better. … no matter where you’re running your marketing – be it a radio ad, your signage, business card, direct mail piece, blog post, a newsletter, or a billboard. The goal is always to convert the most VISITORS to LEADS, and then clients. We show you how to get better results on all the marketing you do. … which is all ADDITIONAL PROFITS straight to the bottom line. What’s the quickest way to bring in a whole ton of new commission paying business? Emailing your list – of course !! This has always been the case. But what has changed is now how easy email automation technology has made the process. … at no extra charge !! Automation tools like Infusionsoft allow you to do email blasts, segment your list, do automated drips, sequences and automate a complete marketing process. You know what people are opening, which subject lines are working, what “call-to-action” links get the most clicks. So if you’re currently paying for an automated email solution, well, consider that a bill you no longer have to pay. 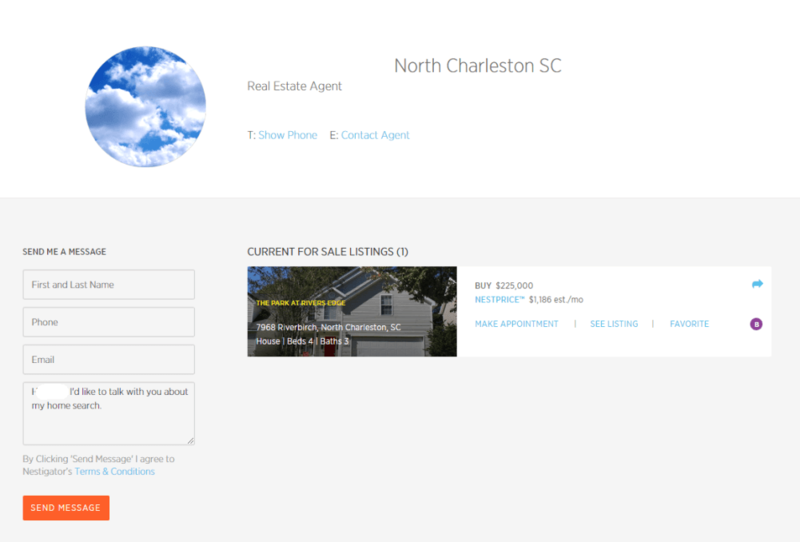 Once you have the leads, the new My Leads console will help you manage them. You’ll get a greatly improved view of your leads, be able to search them by funnel, date, alphabetically, view 10, 25, 50, 100 per page, and export them to multiple formats. One VERY EXCITING new feature in the Admin Panel 2.0 – is the new stats reporting. 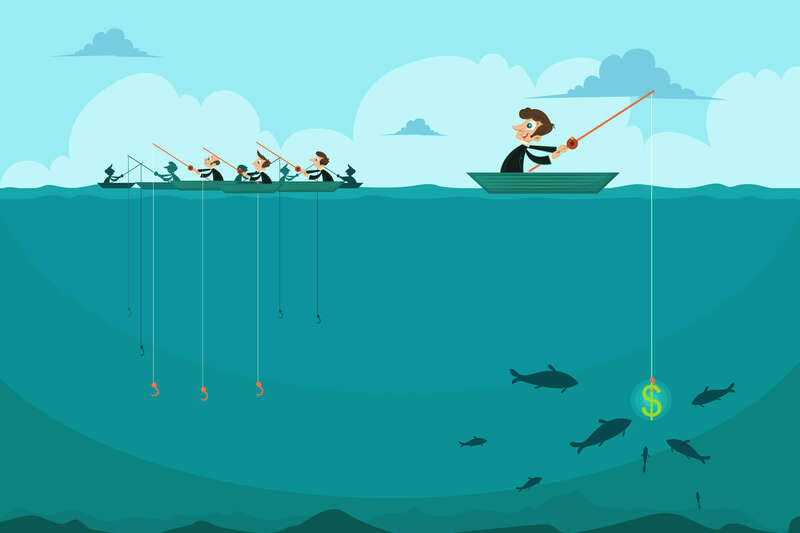 This visually shows you how changes you’re making with your marketing, and your messaging, are impacting the success of your funnels and lead generation efforts. 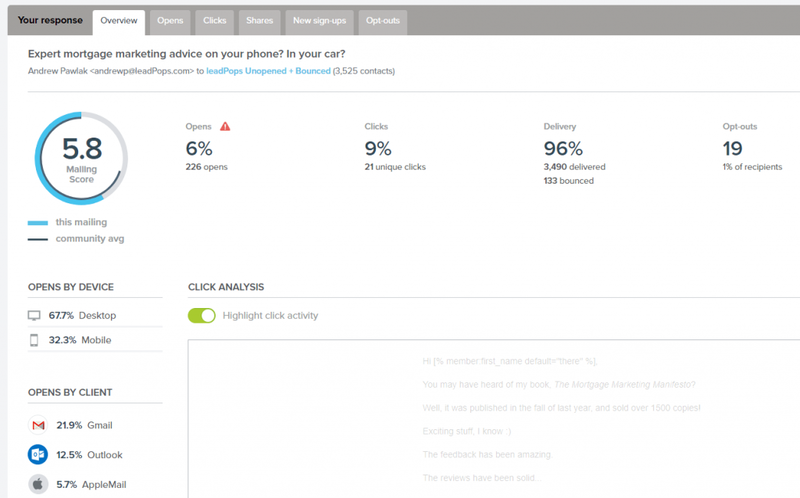 We recommend you test different calls-to-action, landing page headlines, and so on. 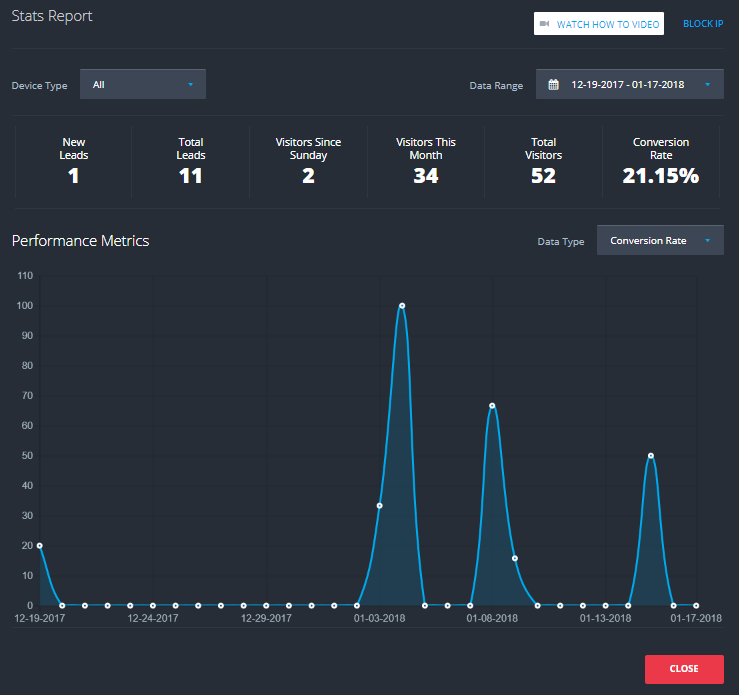 The new stats reporting will let you see what’s working, and what’s not. 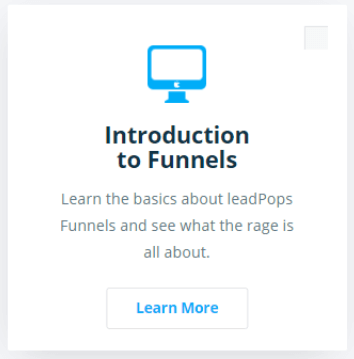 With leadPops Funnels, you have 32 funnels ready to go out-of-the-box. But testing, and customizing to your particular market, can generate even greater results for you. The new stats console will allow you to keep track of results, and the impact of the changes you’re testing. You can track your leads by the last 7 days, 30 days, or last month, this month, or a custom date range. You get a visual display of the results. And can also track by device type, and even block specific IP addresses. 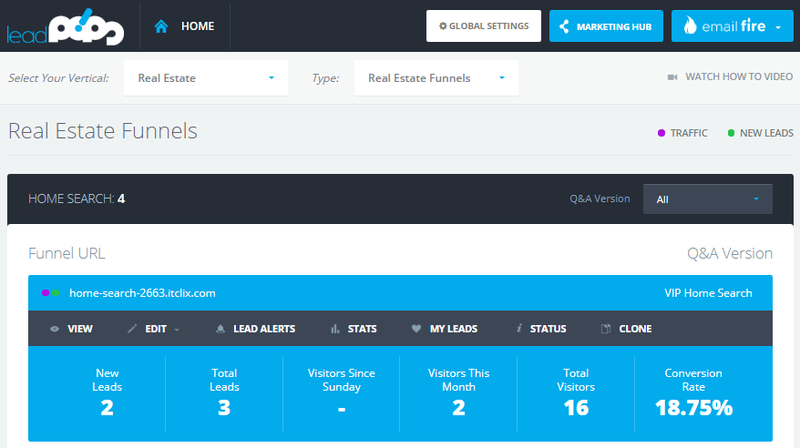 One example is where you or your assistant are logging into your leadPops Funnels Admin Panel frequently. You want to block the IP addresses you are using, so they are not counted as visits from potential clients – which would give you false results in your stats. 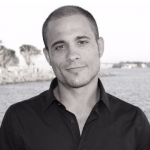 Another key update – is the Global Updating or Customizing of Funnels feature. … no matter what it is, it’s now easy to do. You might test ideas on one funnel, and based upon results, go ahead and update all or a group of your other funnels. Now you can do it easily, all with one click. How is this going to help you make more money? 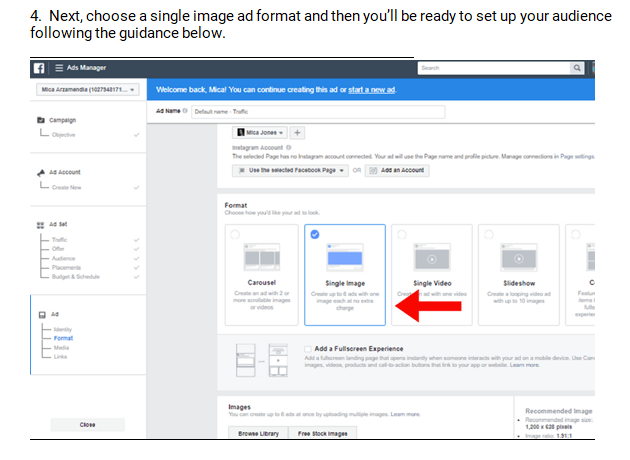 If you’re testing different images, “Thank You” pages and so on, actually doing the testing is what will make you more money. We made this change, to encourage leadPops users to do more testing, rather than putting it off because it seems like too much work. The easier it is for you to access leadPops Funnels, and find what you need, and get in there and make the edits and changes you need to – ultimately, the more money you’ll be making! We’ve almost made it fun to explore the Admin Panel 2.0, and all the cool options you have available. Over the past 14 months, we’ve spent a lot of time, effort, and money on usability testing – making sure that everything that YOU need, is right at your fingertips. Everything is just way more appealing! There is so much more to leadPops Funnels, and many clients miss this and don’t take advantage of it. … then you’re probably not going to take advantage of these features. YET, they will all power your business to be able to make more money! The new Admin Panel 2.0 is designed so you quickly see, access, explore, have fun using, and profit – from everything leadPops Funnels have to offer. … and they’re all designed to make your life easier, and to make you MORE MONEY. One such improvement, is the ability to toggle between standalone funnels, and funnels built into your website. Another, is the improved the HTML editor, used for testing, editing, and updating Thank You pages. Thank You pages are crucial. You’ve done a good job of convincing somebody to give you their information, and then you get them to yourThank You page. 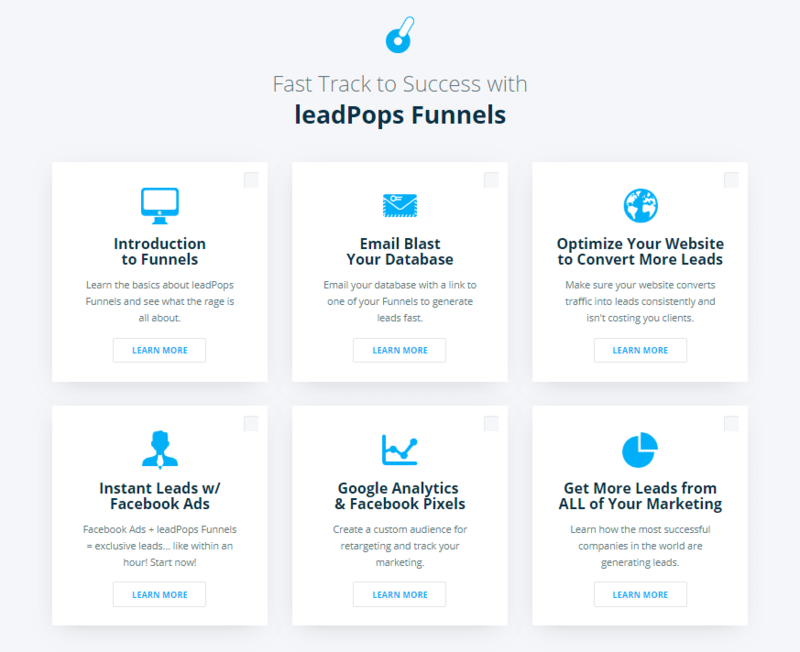 leadPops Funnels provide a nice experience for users out of the box. But I’m a big proponent of customizing, optimizing, and testing. So the new Admin Panel 2.0 has a true WYSIWYG page editor. 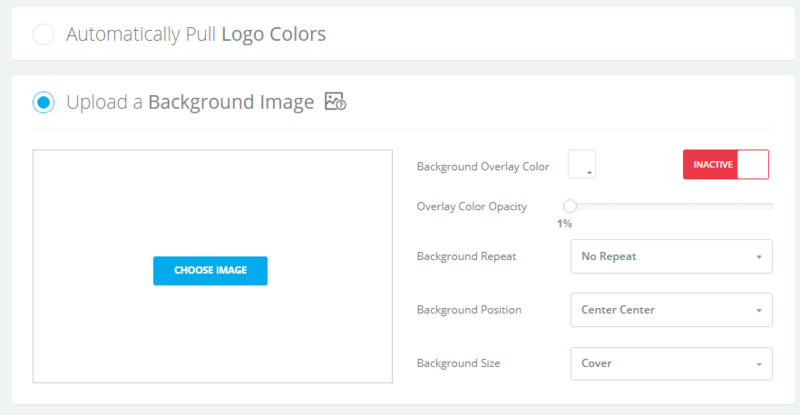 Another improvement, is the ability to add a background image & color overlays to your leadPops Funnels. Inside the Admin Panel 2.0 – you can still have the system pull your color scheme from your logo, and apply it to your funnels. 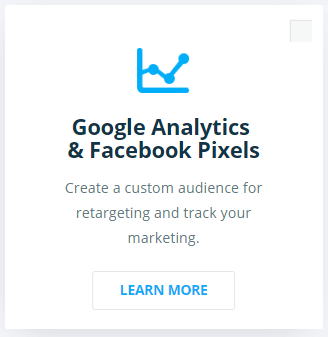 But now you can also add a background image, and add some design flair to your funnels. If you need to match a background used on your direct mailer, or on your website or a banner ad, now you can. No matter where you are within the leadPops Funnels Admin Panel 2.0 – you’ll find a “How To” video on that section, guiding you whenever you need help. Everything is designed to make your life easier, and make your business more profitable. Finally, inside the new Admin Panel 2.0, you’ll find it’s very simple to setup all your integrations with Facebook, Google Analytics and TagManager, your CRM, and over 750 other apps through our Zapier integration. And there is an upgraded billing and support system. All your billing and previous invoices conveniently stored. And support – in addition to all the how-to videos in each section, includes online live chat, and the option to book and schedule a marketing call, where we’ll get on the phone with you to discuss strategies, Facebook, Google, content on your pages, any topic you need help with. Just book a time or a make a request right out of the support section. 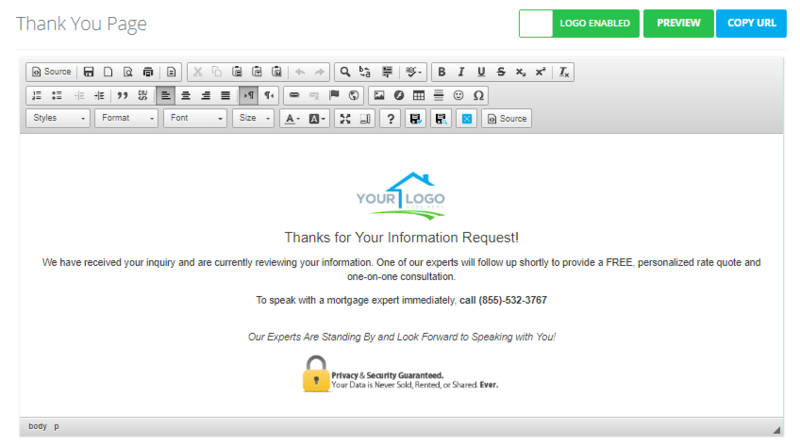 Generating new leads, and new business, just got WAY EASIER !! 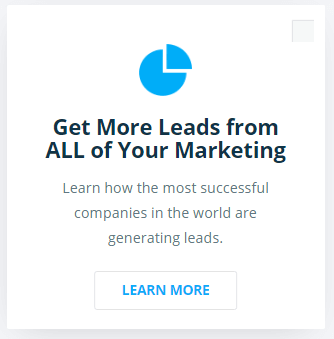 The newly released leadPops Funnels, is designed to help you generate more leads, and more paying business … without spending more on marketing. Or spend more, and make EVEN MORE MONEY than you do today. And to make the whole marketing process so much easier to implement.